Soccer Stadium is an ordinary place for the game of football. 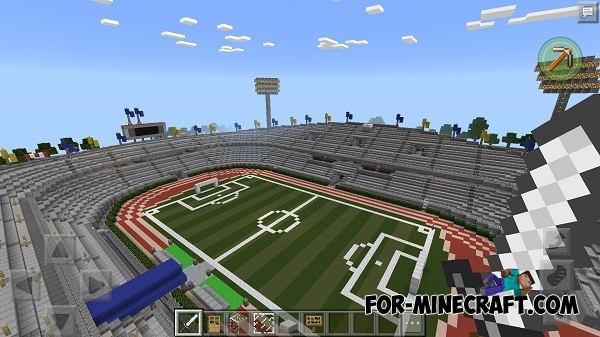 Here you can arrange a special mini-games with your friends or rebuild the stadium as you want. The structure is not very large but there are tribunes and locker rooms for the teams. Also you will find a small fountain and the entrance from the outside. In general, if you want a ready-built stadium, Soccer Stadium map for MCPE will suit you.